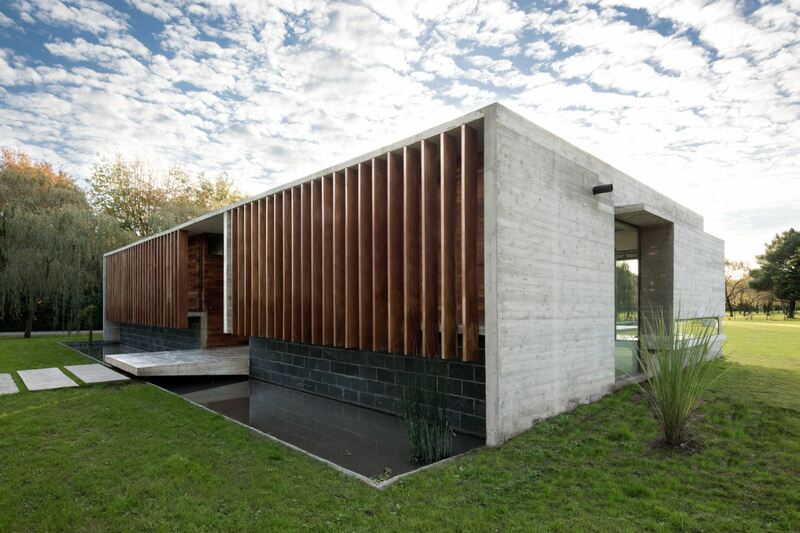 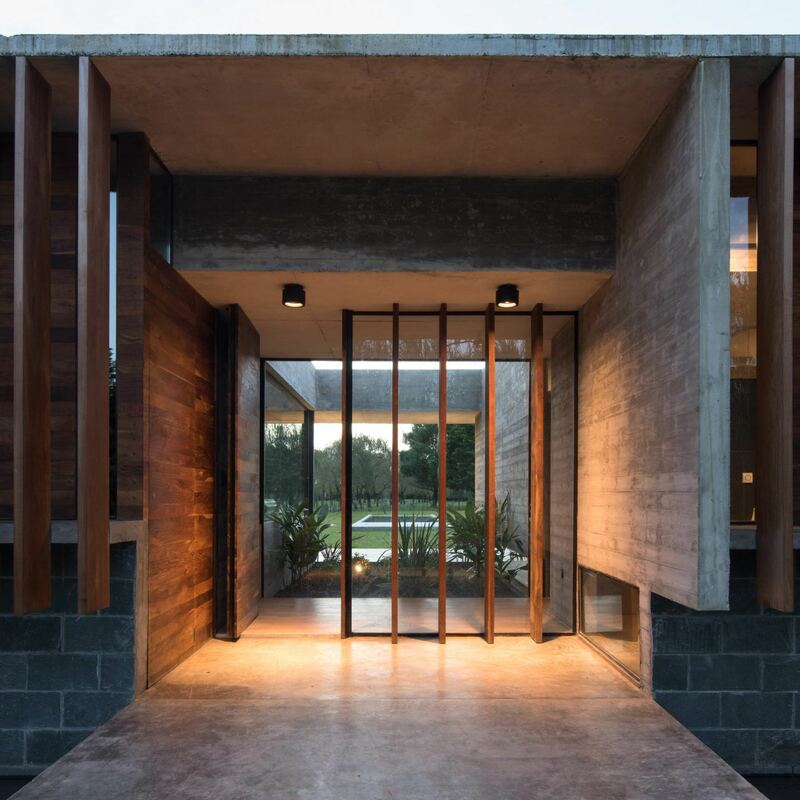 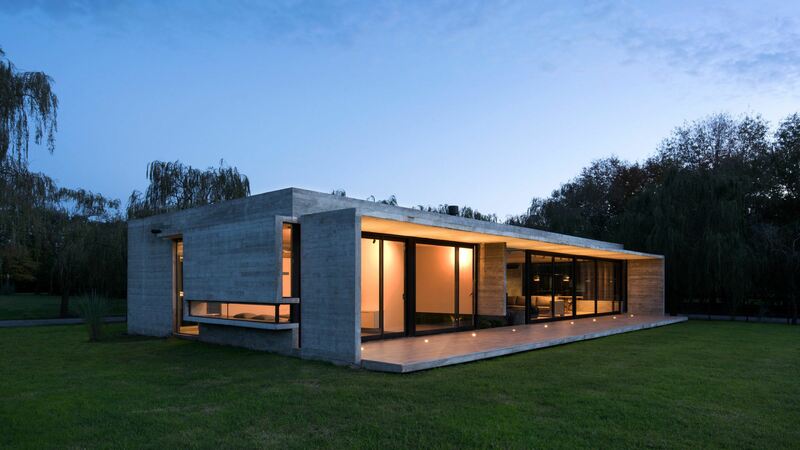 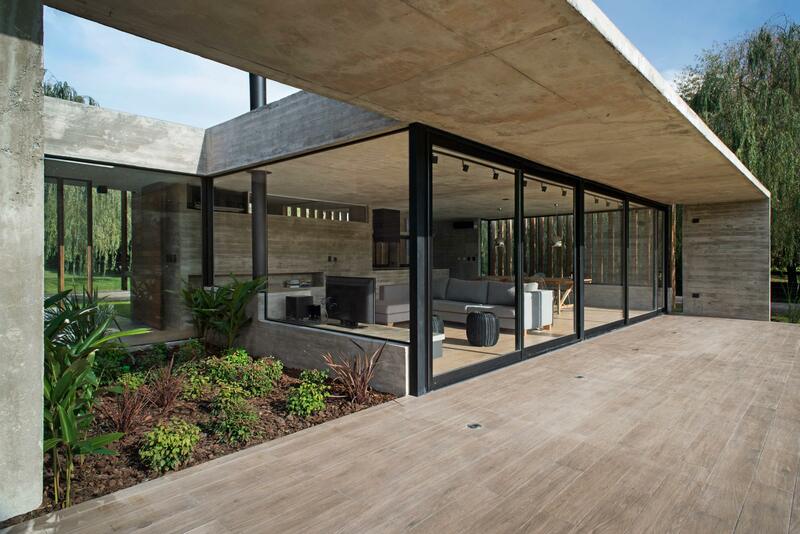 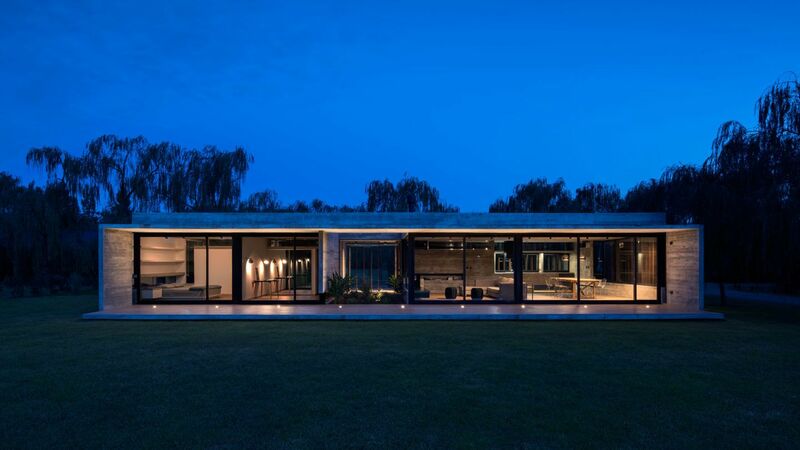 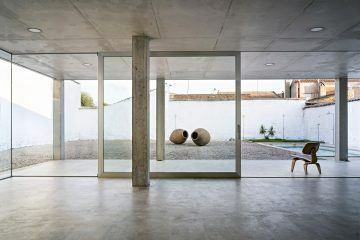 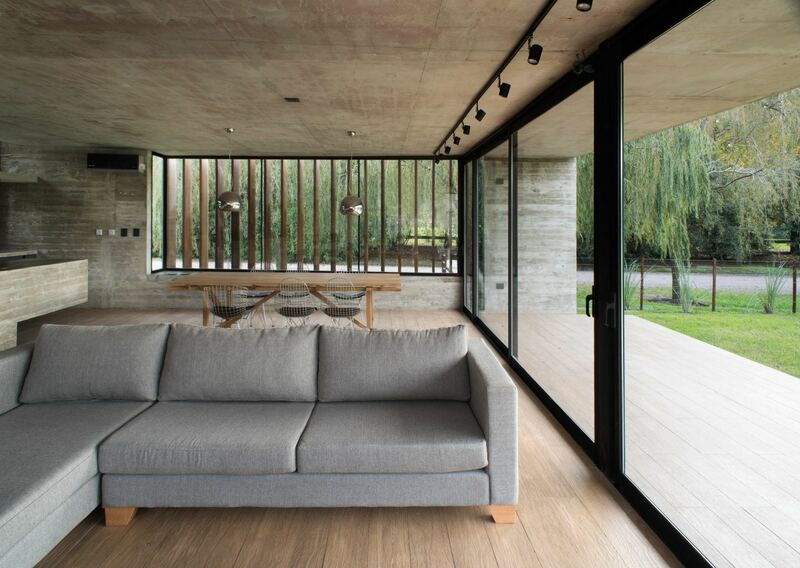 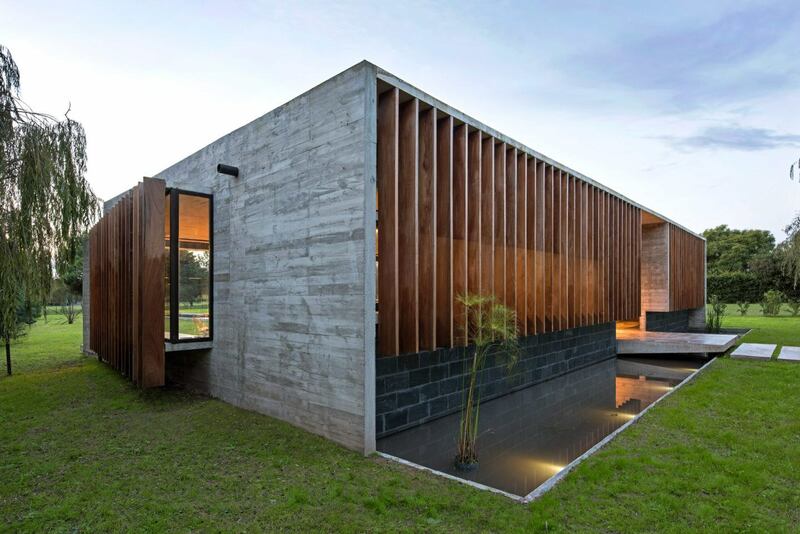 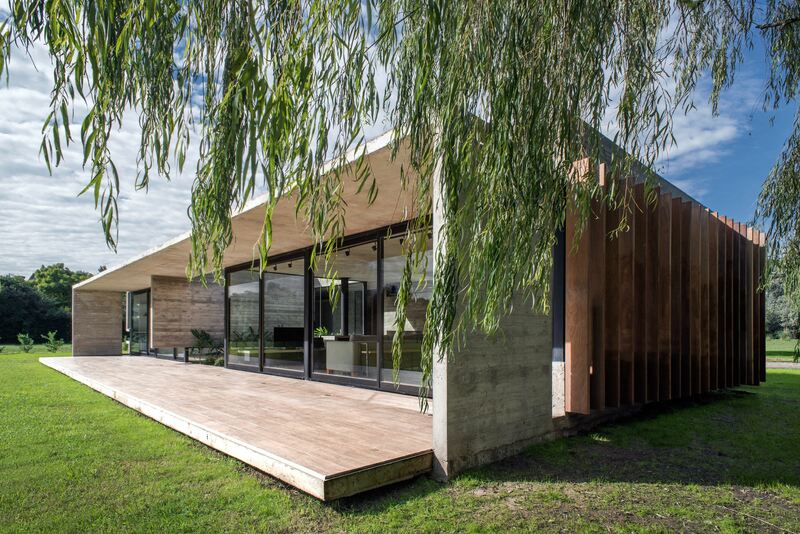 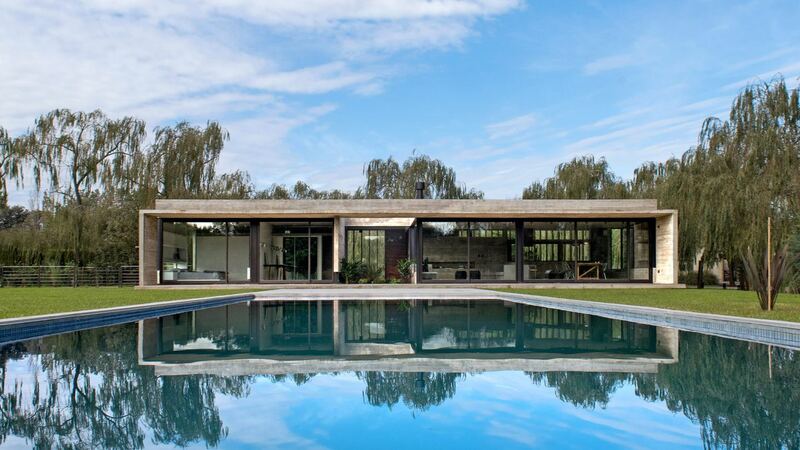 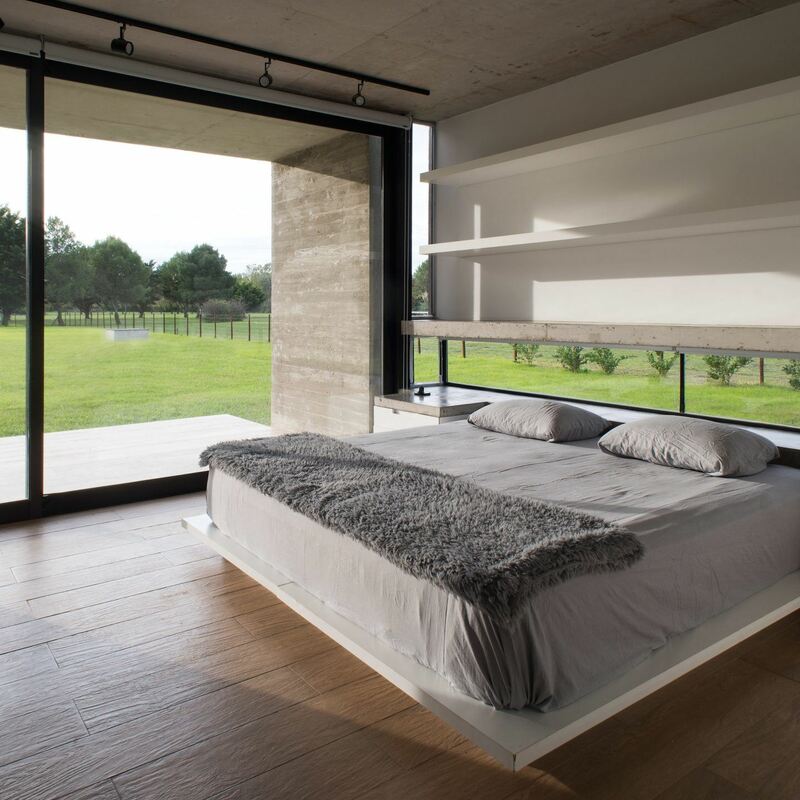 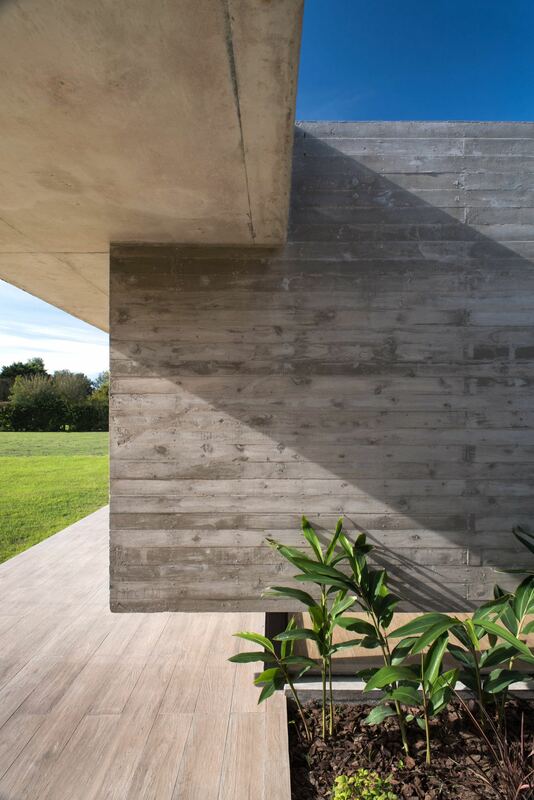 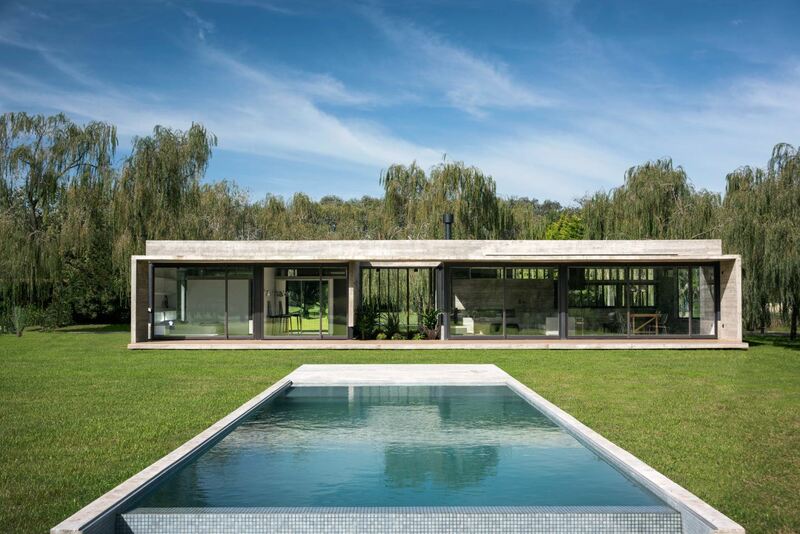 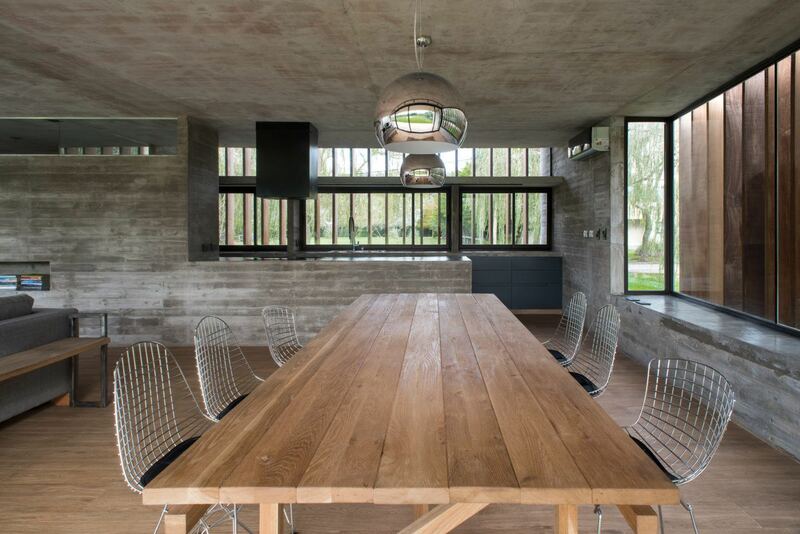 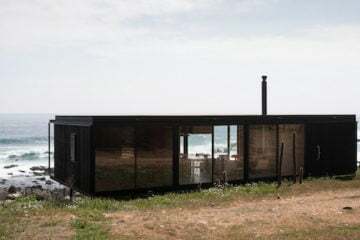 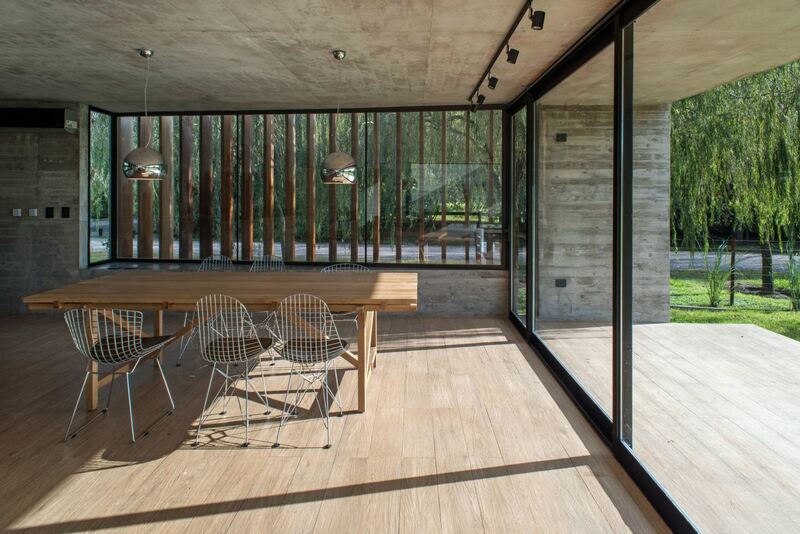 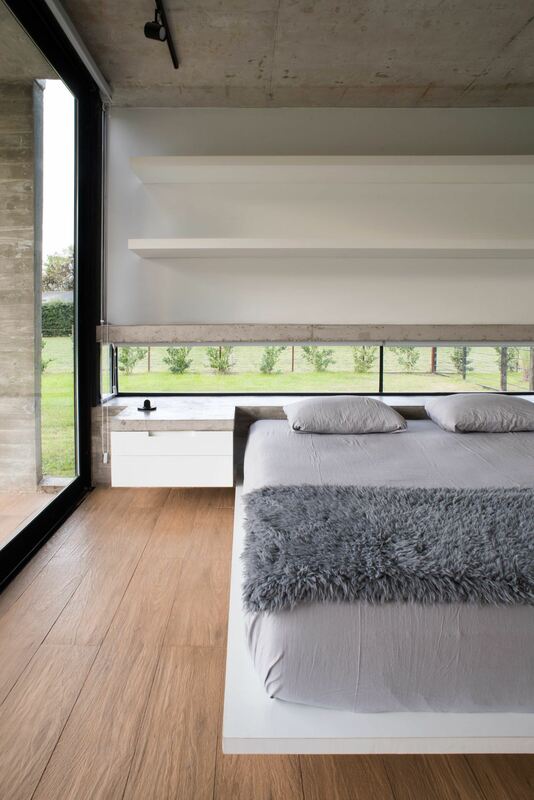 Luciano Kruk, the Argentinian architect for whom raw concrete constructions have become something of a trademark, has created the ‘Rodriguez House’ in the outskirts of Buenos Aires. 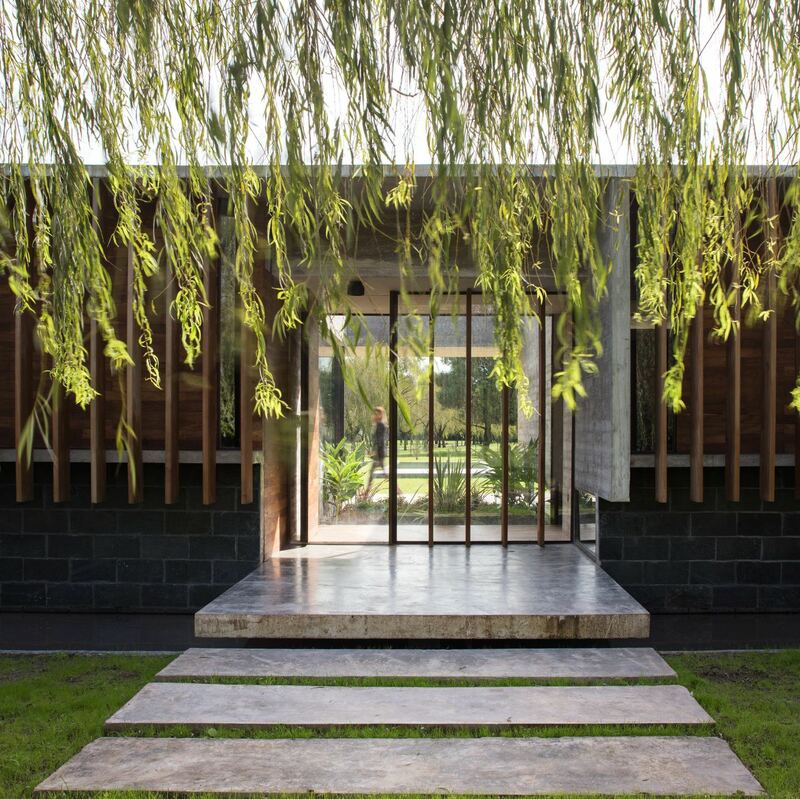 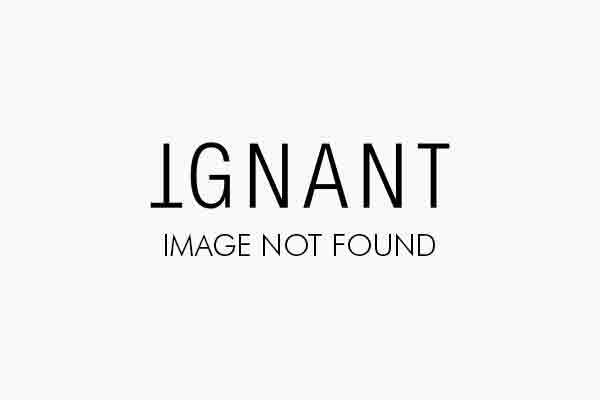 The single storey home is located amongst the willow trees on a large block of land in a gated community called La Esperanza. 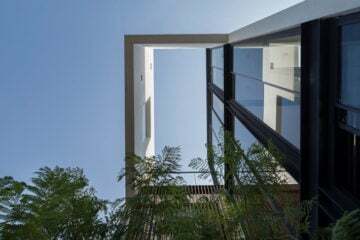 The generous floor plan measures at 159 square feet and stands split into two distinct wings. 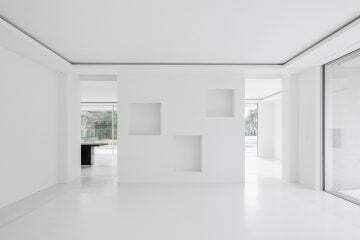 On the left, the communal areas—a galley kitchen that extends into the open plan dining and living room, and on the right, the bedrooms and bathrooms. 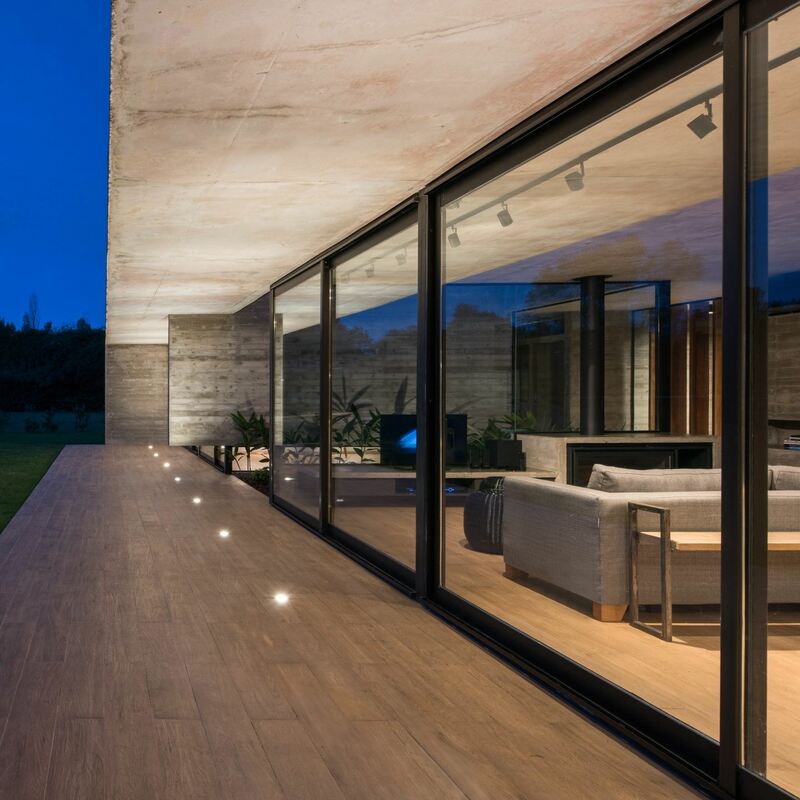 Though constructed for a young couple with no children, the architects were asked that the home have the flexibility to accommodate the possibility of a growing family. 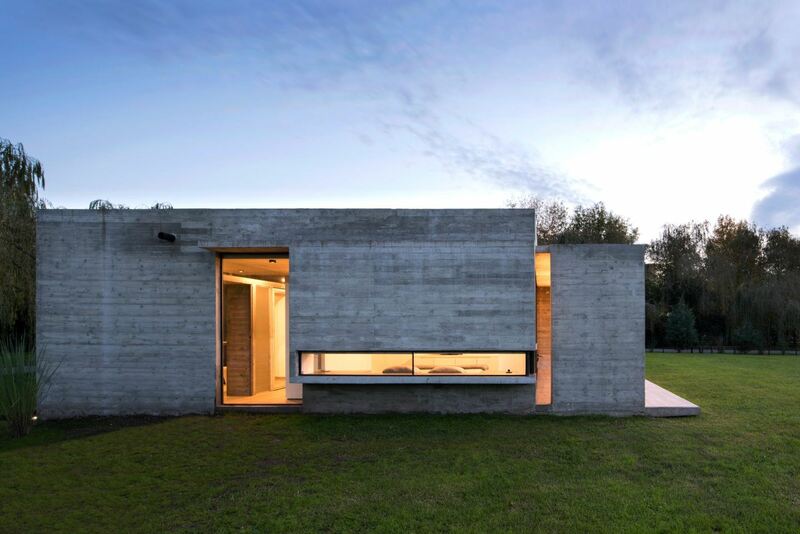 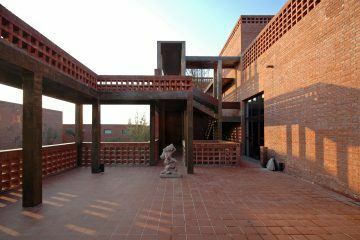 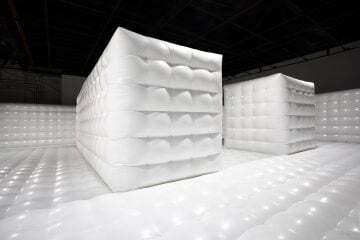 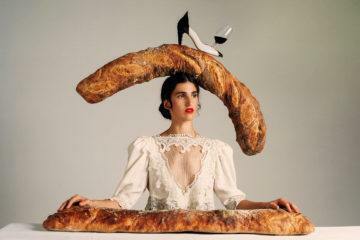 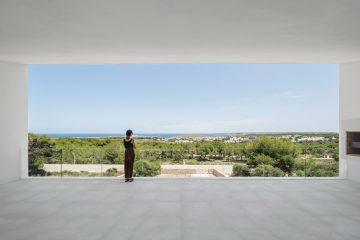 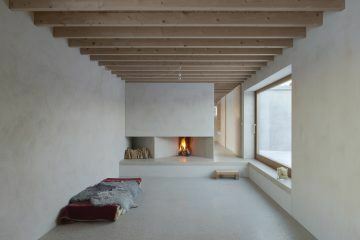 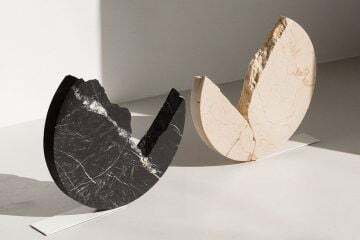 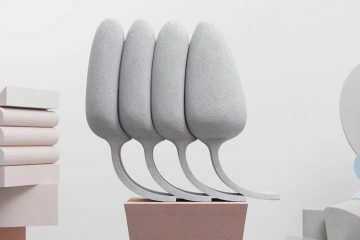 “They asked for a house with a pure external image and an uncomplicated inner distribution”, Kruk explained. 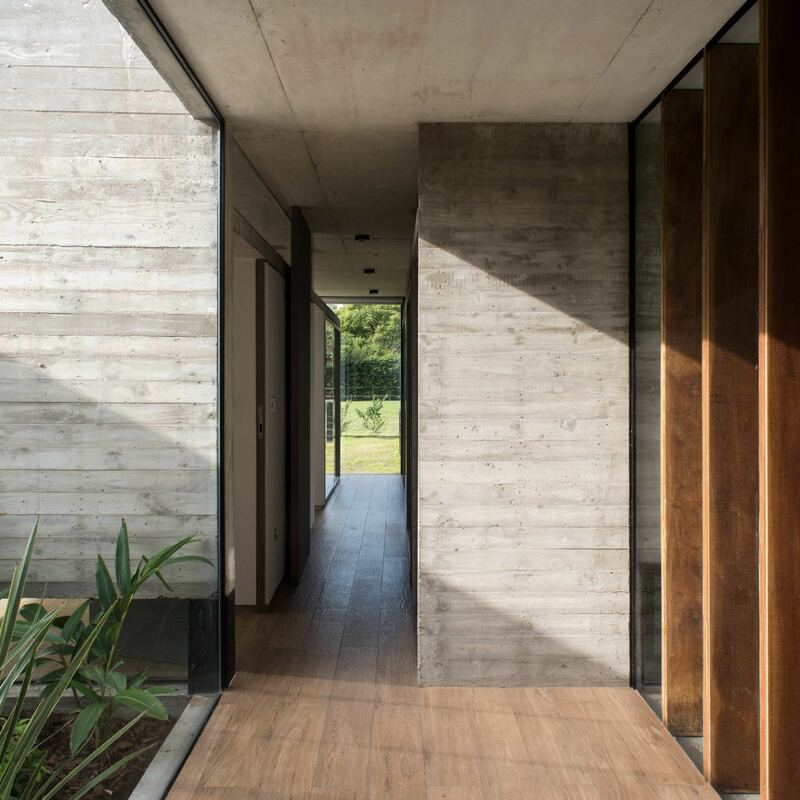 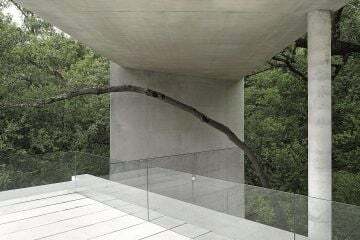 “They also requested a project for a future enlargement in the view of the possibility to include a third bedroom.” The indoors and outdoors are designed to play off one another, with the board marked concrete of the exterior continues on the inside walls, and a leafy patio sitting at the center of the home. 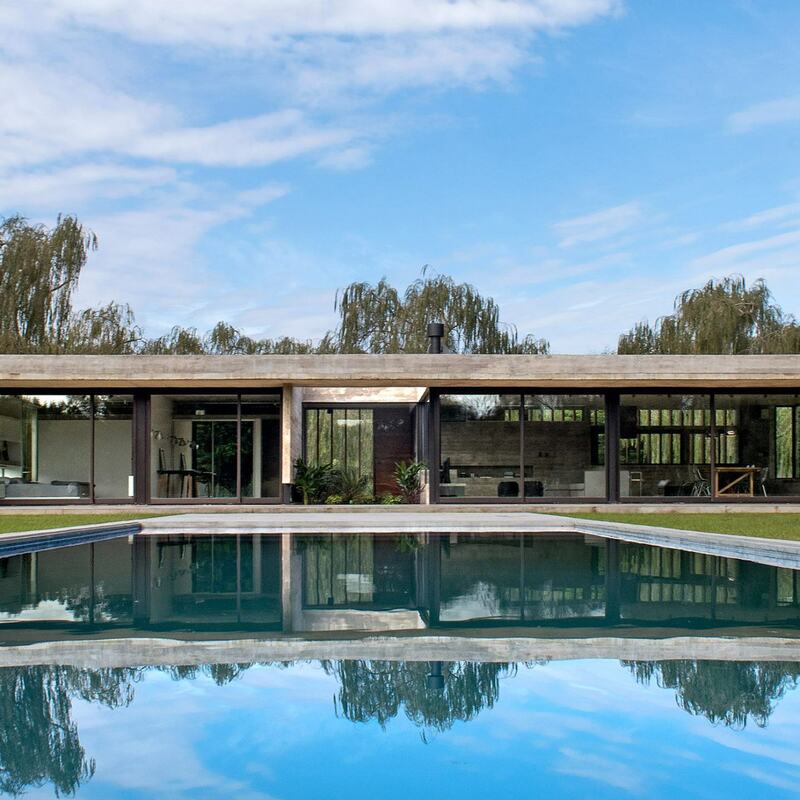 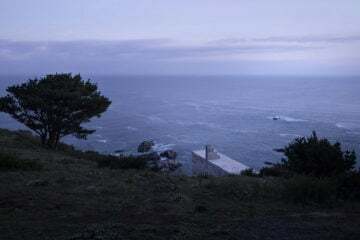 Outside, the house is edged by a reflection pool at its entrance, and a swimming pool and extensive lawn area to its rear. 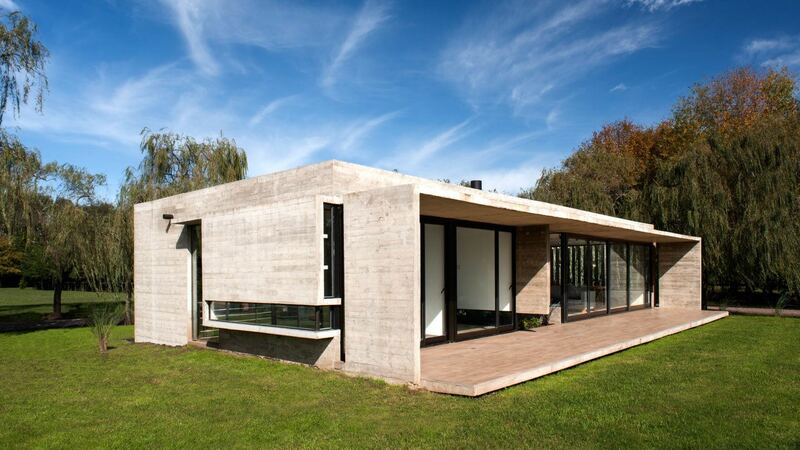 See more of Kruk’s concrete masterpieces from Argentina here.